It has been a volatile day of trading, the dollar fending off an attack on the lifetime high by the euro, sterling sinking without trace and commodity currencies rallying like the world was entering a new boom period. The US dollar’s failure to hold onto any gains for anything more than a fraction of an hour is a very worrying sign and the greenback is only advancing during bouts of high risk aversion (meaning rallies are effectively the result of a close-out of dollar short positions). This has been a most difficult week for the US currency with lots of high risk events, most of which printed poorly and undermined the currency. Friday’s data was mixed but offered little cheer with the Labor Departments monthly employment report revealing the economy lost 17,000 jobs in January, the first decline in employment for 4 years. There was better news when the ISM manufacturing index printed at 50.5, indicating expansion in the sector in January, following contraction in December. Ironically enough it was the ISM report which sent the dollar tumbling once again, as it helped lift stocks and risk tolerance, leading to a scramble to sell the greenback against the ‘risky currencies’ Aussie, Kiwi and Canadian dollars. Stocks had earlier opened on a high note, thanks to a timely news story reporting Microsoft had made a bid for Yahoo. The non-farm data however is a signal all is not well in the economy and this news will carry through as a hangover into next week, regardless of how the session ends today. The euro shot to 1.4945 immediately after the Labor Department reported contraction in the US jobs total in January. Resistance around the lifetime high held firm however and the euro came crashing down to briefly dip below 1.48, before recovering to 1.4840. The dollar struggled against most other currencies this afternoon so today’s reversal is a false move and is the result of profit-taking. As long as the euro remains above 1.48, the lifetime high at 1.4966 will remain within reach. The lifetime barrier needs to be breached soon if 1.50 is ever to be hit. Next week could be the single currency’s final chance, with the ECB scheduled for Thursday. If the ECB maintain their hawkish stance, then the euro could be pushed over the line. January’s manufacturing PMI for the euro area printed better than expected Friday, but the more important services PMI will be watched closely when it is released Tuesday. As long as the euro remains above 1.4770, there is value in keeping faith in the upside trend, but with a 3-peak top formation in place, caution is required. Strategy: buy euro on dips back towards 1.4770 with upside price limits of 1.4850, 1.4880, 1.4915, 1.4945 and 1.4980. If buying the euro at current levels, tight stops must be employed. Cable took a pounding Friday, coming off a high of 1.9935 to sink back to 1.9650. Hopefully you took my advice yesterday and if you did, you should have done very well. The CIPS manufacturing index, reported at 50.6, fell to near 2.5 year low signalling a an accelerating slowdown in the UK economy. For next week’s Bank of England it is not now so much a case of will they cut rate, but by how much? The prospect of a 0.50% reduction is now very real, but we must remember this particular MPC is dominated by hawks and has been slow to act in the past. Sterling’s sell-off against the euro has been overdone, but it is a high risk strategy to buy the pound against anything ahead of next Thursday’s meeting. I retain my bearish bias on cable, but hope to see something of a bounce before entering the market again. Strategy: Sell cable on prices above 1.98 with limit prices of 1.9650, 1.96, 1.9540 and 1.9480. The yen was spared most of the frantic price action we saw Friday with the Japanese currency largely unchanged against the dollar and up moderately against the euro on the session. Risk tolerance has held despite a negative employment report from the US and the yen has sold off against the high-yielders and commodity currencies. There was no domestic data overnight and the yen has simply moved with the markets’ reaction to US data. Yesterday we called for a sell down of the EUR/YEN, if price near 159 and if the non-farm number from the US was negative. You should probably exit this trade now, with price currently at 157.50, in case Wall Street rallies to the close this evening and you get caught by a market moving in the opposite direction. The dollar is going to struggle to get back to Y107 because those holding short dollar positions will not be in a rush to run to the exits just yet. We recommend staying away from trading the yen until we see how Asian markets respond on Sunday to today’s events. The loonie and the dollar are having a rare tussle for supremacy around the parity line and the loonie has certainly had the better of it in the past 3 days and the pair is now back below 0.9950. The is pair giving off a strong bearish tone, which is probably owing to the renewed appetite for the commodity currencies which has persisted since the Fed’s emergency rate cut last week. There are some key risk events for the loonie next week, most notably Friday’s employment report, but before that we will get the IVEY business PMI on Wednesday, which recorded a contraction a month ago. The loonie also battered the euro today, sending the single currency toppling from a high of 1.4940 to a low a short while ago of 1.4730. The loonie remains in my estimation the most over-valued currency by far but certain forces are determined to keep it elevated. If the pair closes below 0.9920 this evening, the loonie will attempt to test the 0.9870 low hit on Wednesday and if this gives, a return to 0.9760 looks to be on the cards. Although bearish on the loonie, I’m reluctant to buy the greenback against it until we have established a firm break back above the parity line. The euro certainly offers value on prices around 1.47 against the loonie, particularly leading into what should be another hawkish ECB statement next Thursday. Bernanke’s gift of a further 50 basis points to the markets Wednesday was soured by S&P’s report that some of the credit ratings of the major bond insurers might be downgraded. The Dow industrial average had been up 200 points after the Fed rate cut was announced, but it lost these gains to close modestly in negative territory. The FOMC statement yesterday was virtually the same as that released a week previously and with the emphasis again on downside risks to growth, it is probable the Fed Funds rate will drop to 2.5% by March and possibly go as low as 2% before the summer. Inflation concerns have been pushed to one side and the Fed is prepared to gamble on the logic inflation must ease in a slowing economic environment. There is of course no guarantee this will happen as evidenced by the quarter 4 GDP report, when growth slowed to a 0.6% annualised rate while at the same time core inflation rose to a 2.7% annualised rate. The US is officially in a period of stagflation and one which could worsen significantly yet - $100 oil was hit for the first time in January. Let’s be clear, given inflation is actually on the rise and well above an acceptable level and the fact the US has a negative savings rate, the Fed is wreckless because the committee is not looking at the longer-term picture. But should the economy narrowly avert a recession or if growth gathers pace later this year against a backdrop of falling inflation, Bernanke will be hailed a saviour and a hero. But even in the event of such a miraculous medium term outcome, the next generation of Americans will spend a further generation paying off the stockpile of national debt amassed thanks to the short-sightedness of Messrs. Greenspan and Bernanke. The pair has traded in very volatile fashion all of Thursday, bouncing between 1.48 and 1.49. As we saw Wednesday, the euro is again meeting selling pressure above 1.49, but each retreat thus far has coincided with a rise in risk aversion as global stock markets fell into the red. If we do see a sustained period of rallying in stocks, then the euro could benefit from this positive momentum and challenge the lifetime high at 1.4966 within the next 24 hours. The euro will never have a better chance to hit 1.50 and it got a boost today when the euro-zone flash estimate for consumer price inflation in January returned a 3.2% annualised rate, against the 3.1% in December. This is the highest rate on record and is sure to keep an already hawkish ECB on alert and rule out the possibility of a change in policy when the Monetary Policy Committee meets next week. Other data out of the euro area Thursday was mixed – economic and consumer sentiment fell rather sharply in January, while in Germany, the jobless and unemployment were much better than consensus. In the US, the jobless claims number for last week rose sharply, to the highest level in 29 months, stoking fears we may get a disappointing non-farm payroll number on Friday. Personal spending in December rose by the slowest pace since June, growing 0.2%. Personal income rose 0.5%. The core PCE inflation gauge was unchanged at 2.2% and the Chicago PMI came in lower than expected for January, but the PMI did register above 50 and at least signalled some expansion in the important Illinois industrial region. The dollar will struggle to push the euro below 1.48 today, unless there is a further spike in risk aversion. The euro itself needs to close above 1.4870 to set up a possible challenge of the lifetime high tomorrow. Friday is another high risk day with US non-farm payrolls at 13:30 GMT and the ISM Manufacturing Index at 15:00 GMT. The euro area Manufacturing PMI at 09:00 GMT is unlikely to have any market impact, unless it differs greatly to the estimate released earlier in the month. Oddly enough the euro may benefit most from positive US data, i.e. a consensus non-farm payroll number and a better than expected ISM PMI. A negative non-farm number or a decline in the ISM PMI will fuel concerns that the US is already in recession and a subsequent rise in risk aversion could send stocks tumbling and boost the dollar in the short-term. Strategy: buy euro on dips towards 1.4770, with upside price limits of 1.4840, 1.4870, 1.49, 1.4920, 1.4950 and 1.50. Short stops won’t work Friday because volatility will be high, owing to the high risk data due out in the US. Sterling is largely unchanged Thursday and cable is consolidating in the 1.9850 to 1.9950 price region. Traders are reluctant to try and challenge the 2 dollar line ahead of Friday’s non-farm payroll data from the US. Sterling’s ability to once more sustain a period of trading above the 2 dollar line is probably dependent on whether the euro can break above 1.50 against the US currency. A failure by the euro to penetrate 1.50 could signal a low for the dollar for now and ultimately mean the only way for cable to go is down. Indeed with the Bank of England meeting on Thursday next likely to focus the minds of traders through the whole of next week, cable will probably return closer to 1.95 by then, unless there is a capitulation by the dollar tomorrow. Even if cable does rally to above 2 dollars, it is likely to meet resistance at 2.01 so there is certainly value in selling cable now at prices above 1.99, with the intention of holding the positions until next Thursday, when the Bank of England are likely to announce a rate cut. There will be calls for a 50 basis points cut next week with markets calling on the Bank of England to take their lead from the Fed and to be aggressive. I said last week we should avoid selling cable through the key events this week and until the current upside rally had peaked. We have now had 3 days where price has traded above 1.99 but sterling has failed to earn the necessary momentum to move higher. Of course a broader dollar collapse Friday could change all that, but cable could easily reverse sharply in the other direction, if the US data prints the other way. UK consumer confidence remained near record low levels this month with the Gfk index coming in at -13, against -14 in December. House prices fell 0.1% in January according to Nationwide, which is a somewhat better number than most of the other house prices indices we have seen this month. Against the euro, sterling could benefit if there is a sharp sell-off of the single currency against the greenback, but because of the a possible rate cut next week, it is not wise to buy the UK currency now. I remain bearish on the pound and see value in selling down cable on levels above 1.99. Strategy: Sell cable on prices above 1.9920, with price limits of 1.9840, 1.9770, 1.97, 1.9640 and 1.9550. If very much risk adverse, wait until the non-farm and ISM numbers print in the US on Friday. The yen done remarkably well Thursday as the Fed’s latest declaration of policy easing failed to rally stock markets and thus the Japanese currency was spared a sell-off. If stocks do bounce back in the next few days, the yen will be forced into retreat, with the key barriers of Y108 against the dollar and Y160 against the euro up for grabs. The high-yielding Aussie and Kiwi dollars have been performing well and this demonstrates there is plenty of risk appetite in the marketplace, despite the ups and downs we have witnessed in the past 10 days. Friday is a major risk day with US employment and manufacturing data due for release and very poor prints will tend to favour the yen, as it will likely lead to an appreciation in low-yielding currencies. In economic data out of Japan Thursday, manufacturing expanded at the same pace in January as in December, but housing starts were down 20% on the year this month, highlighting major disconnects within the domestic economy. Traders should hold off buying or selling the yen until after Friday’s non-farm payroll report, although a strong stock market close on Wall Street Thursday and a follow-on in Asia overnight could send the yen backwards. Strategy: Wait until after Friday’s data and if the non-farm number is negative sell EUR/JPY if price is close to Y159, with limit prices of 157, 156.50 and 1.55. The loonie reversed course and fell sharply Thursday, though it staged a comeback this afternoon, to trade a full half cent below its worst levels of the session. The failure to close below 0.9920 Wednesday, having gone as low as 0.9872, meant USD/CAD started today on the up. The greenback must close out today’s session well above the parity line if it is to have a chance of continuing the uptrend through to the weekend. The surprisingly high jobless number out of the US today frightened loonie supporters as a softening labour market in the US poses a major threat to the consumption of Canadian exports. For its part, Canada recorded a mere 0.1% growth in November, underscoring the economic slowdown is a North American phenomenon and not just a US one. The loonie is still trading 3 cents better than the price it was trading at early last week, so we could see a sizeable heave upwards in USD/CAD again Friday, especially if the US data is poor and recessionary-like, resulting in a rise in risk aversion and a drop in appetite for commodity currencies like the loonie. the Bank of Canada’s Jenkins did not say anything new in his address to the House of Commons Wednesday evening, but the line of questioning highlighted concerns about the widening spread in US and Canadian interest rates and this hurt the loonie late last night. I’m not inclined to buy USD/CAD until we are sure price is firmly established above the parity line, so we shall wait and see what tomorrow brings before resuming our buying trend. I am however still holding my long USD/CAD positional trades, with a S/L at 0.9750 and a limit price of 105. The pair briefly moved above 1.48 this morning, but got pegged back following the US ADP employment report which suggested this week’s non-farm payroll number may print better than expected. The ADP report showed that as much as 130,000 new jobs were added by the private sector in January, significantly above the 40,000 forecast. The advance reading for quarter 4 GDP in the US was then released and with the economy seen as having only grown at an annualised paltry 0.6%, this raised expectations the Fed will not hold back this evening and will deliver a 0.5% rate cut. GDP for the whole of 2007, at 2.2%, was the lowest since 2002 and to make matters worse, core inflation in quarter 4 rose to an annualised 2.9%, which means the Fed has a very difficult balancing act to perform – how to stimulate growth while keeping inflation in check. The Fed has stated its intention to err on the side of growth and for this reason, expect the Fed to deliver a 0.5% rate cut today. Anything less will be taken as a disappointment, although the Fed may be privy to key data not due for official release until later this week and if the Fed falls short of expectations today and cuts by only 0.25%, it may be a signal that this data is going to print much better than expectations. The inflation concern is however a very real one and it will be a surprise if there is not some dissent from inflation hawks in the vote, especially from Governor Poole, if a 0.5% cut is today’s result. The dollar is sure to come under short-term selling pressure in the event of a 50 basis points cut, but today’s announcement could mark a watershed for the dollar going forward, because it could put the Fed ahead of the curve, while all other major Central Banks remain firmly behind the curve. EUR/USD could hit 1.49 today and if it manages to hold above this level, 1.50 could be hit either today or tomorrow. Looking beyond this week’s events risks will switch from the dollar to the euro and I cannot see much further appreciation in the single currency, so traders need to be alert to a sharp reversal. If the Fed does not cut rates at all today and issues a hawkish statement placing greater emphasis on inflation risks which is unlikely, expect EUR/USD to capitulate to 1.46 and below. Strategy: It is dangerous to enter the market to purely trade the Fed news, because major volatility after the announcement could take out most stop losses anywhere near the market price. The value trade may be to buy EUR/USD on dips towards 1.4750 before the announcement, with target prices of 1.4880, 1.4920 and 1.4950. The stop should be below yesterday’s low of 1.4738. Cable rallied to above the 1.99 for the second consecutive day, stalling at 1.9948 before retreating back to 1.9860. Data out of the UK was not exactly encouraging with mortgage approvals for December falling more than expected and consumer credit narrowing significantly more than forecast. Cable is gaining only because of negative dollar sentiment ahead of the Fed decision this evening and there is still the potential for a spike to above the 2 dollar mark, if the Fed delivers a 0.5% cut, as anticipated. Sterling has come off against the euro Wednesday, the single currency rising modestly to 0.7435. We also learned today that Bank of England Governor Mervyn King has been reappointed for a second 5-year term, despite the harsh criticism directed at him for his sloppy handling of the Northern Bank crisis. The Bank of England meets again next week and the MPC is widely expected to cut rates by at least 25 basis points, having left rates on hold earlier this month. Sterling will start to come under pressure once the dust settles after the Fed’s monetary policy announcement. I am bearish on sterling but don’t see any value entering the market ahead of today’s major risk event. I prefer to see where cable goes between now and tomorrow before contemplating re-entering the market. Strategy: Hold fire until after markets settles following Fed rate announcement. We shall revisit tomorrow. The Japanese currency has been targeted and sold off ahead of the US interest rate announcement, with carry traders expecting a 0.5% cut tonight which they believe will drive up demand for high-yielding currencies, like the Aussie dollar, Kiwi dollar and sterling. A 0.5% cut today is likely to force the yen to back-pedal for a couple of days and the dollar could rise to Y109, with the euro likely to jump back above Y160. However the rate cut is not the result of a good news story, very much the opposite in fact, so it is only a matter of time before risk aversion levels rise and the yen is back in vogue. Industrial Production in Japan rose 1.6% in December against expectations for a 2.0% rise, disappointing markets. There is increasing talk over the past week that Japan is also on the verge of a recession, with Goldman Sachs particularly negative in its assessment of the world’s second largest economy. The sombre outlook for both the US and Japan has thus far failed to dampen commodity prices, so the yen looks poised to continue its short-term retreat. Strategy: If long on EUR/JPY, set target limit to Y160. If the Fed comes up short of a 0.5% rate cut expect the yen to appreciate. Short yen positions should be exited before Friday, but be ready to exit in a hurry today (place stops in advance) if the Fed does not cut by 50 basis points. The loonie steamroller show goes on unchecked and earlier today the Canadian currency pushed the greenback down to 0.9920, a 4-week low. The loonie has made gains against all the major currencies again today as the current bounce in the currency extends, despite fears of a US recession. The loonie is now set up to force the US dollar back to the 0.98 price level, if we get an aggressive cut from the Fed today. The currency has advanced 4% in a week and looks decidedly bullish, even if there is no economic data supporting the move. The current market perception that commodity prices can continue to rise indefinitely against a backdrop of recession in the world’s two largest economies and that the Canadian dollar can soar in this environment is a nonsensical one. Commodity prices are going to soon switch into reverse gear, which is a major negative for the medium term and long-term prospects of the loonie. For now, the loonie is on a high and I would not bet against the greenback being forced back below 0.9850 today and 0.9750 may even be tested before the week is out. The loonie has appreciated a further 0.4% against the euro Wednesday and the pair is now hovering below the 1.47 price level. Bank of Canada Deputy Governor Paul Jenkins is due to speak on the economic impact of a strong Canadian dollar in the House of Commons at 20:20 GMT. I remain bearish on the loonie but will sit out today’s key events. Strategy: Wait for market to settle after Fed rate announcement. We will review the situation on Thursday. The euro has come off a fraction today as the market seems reluctant to push it through the 1.48 price barrier, ahead of Wednesday’s GDP data and Fed rate announcements. Also, December’s Durable Orders in the US rose 5.2% on the month, well ahead of expectations for a 1.6% increase, lending some support to the dollar. US Consumer Confidence declined in January according to the latest survey from the Conference Board, but the number was marginally better than forecast and this too reinforces the argument that the US economy may not be in as bad a shape as many would have us believe. The Fed will be privy to Friday’s payroll numbers as they deliberate over the next 2 days and there is a distinct probability if the payroll number is reasonably positive, the Fed may only ease 25 basis points tomorrow. The euro is likely to push higher prior to the Fed announcement, in anticipation of a 50 basis points cut, and if it edges past 1.4825, it will be perfectly positioned to take out the lifetime high at 1.4966. Today is all about positioning ahead of Wednesday’s key events, but the euro does offer good interim value on any dips to 1.4660, given the downside risks to the dollar for the remainder of this week. There is also the chance of a major dollar backlash later in the week, particularly in the event of a 50 basis point rate cut and positive employment data, as positional investors could see it as an ideal time to back the greenback, because the longer play rate outlook for the dollar Vs the other leading currencies may have shifted dramatically in favour of the dollar. Strategy: short-term buy euro on dips towards 1.4660 with upside price limits of 1.4770, 1.4790, 1.4820, 1.4870, 1.4920 and 1.4950. Moves stops to tight positions just ahead of Fed rate announcement Wednesday, if not out of market before then. Cable rallied to its highest level in almost 4 weeks, reaching 1.9928 this morning, before retreating to 1.9870. Although over-priced against the dollar, the pound is benefiting from increased risk appetite and a surge in demand for high-yield currencies in advance of the Fed’s policy statement. Cable could yet rise to 2.01 by late Wednesday or early Thursday, before another sharp leg to the downside commences. The pound managed to send the euro back to 0.7415 this morning, but was unable to hold all its gains and the single currency has appreciated back to 0.7430. The CBI Distributive trades survey for January printed better than expected, particularly the forward looking component, with UK retailers more optimistic on outlook for the next month. The UK data calendar is rather sparse this week and we have to wait until Friday’s CPI manufacturing index before we get any real market-moving data. Between now and then sterling’s direction will be determined by US data and market reaction to the Fed’s rate announcement. If there is indeed a euphoric rise for the pound, it will be short-lived because once this week’s data is out of the way in the US, the focus for sterling will shift to the Bank of England meeting next week, when UK interest rates are expected to be cut. Later this week we could have a glorious sell-down opportunity on cable, but EUR/GBP shorts should be seeking to exit the market by the end of this week, as that pair is likely to rally in favour of the euro next week. Strategy: Wait for Fed rate announcement Wednesday and don’t rush in to sell. If cable rallies to 2.01, sell down with limit prices of 1.9870, 1.9770 and 1.9660. The yen is virtually unchanged Tuesday across the board, as traders are reluctant to become over-loaded on carry trades for fear the Fed disappoints markets Wednesday. If the Fed does not deliver a 0.5% cut, we could see a negative stock market reaction and downturn and a new bout of carry selling. Economic data out of Japan overnight printed quite positively with the unemployment rate unchanged at 3.8%, household spending surprisingly up by 2.2% in December and retail sales also increasing 0.2% last month, though this was a consequence of higher gasoline prices. We will probably see the yen retreat against the euro and the dollar in advance of tomorrow evening’s key announcement and it could turn into a rout for the Japanese currency if the Fed cuts by 0.5%, because risk tolerance is likely to rocket, temporarily at least, encouraging traders to use the yen to fund carry positions. It is not a good time to be long yen, but the currency will bounce back if 1) the Fed does not cut by 0.5% or 2) US employment data on Friday disappoints and stock prices go into retreat. I see potential for the euro to return to at least Y160 by tomorrow evening, before the next leg down. Strategy: Buy EUR/JPY on dips to between Y156 to Y157 with limit prices of Y158, Y159 and Y160. Have stop losses moved to a tight position prior to Fed, if not out of the market before then. The loonie has defied the fundamentals and continued its rally Tuesday, breaking parity with the greenback, while most other currencies were moving sideways. The loonie has now appreciated 4% against the US dollar in the past week. It is a remarkable rally by any standards, but all the more remarkable given it comes immediately in the aftermath of a second successive rate cut from the Bank of Canada, with further rate cuts on the way, a 2-year low in core inflation, negative employment growth in December, a contracting industrial sector according to the latest business PMI and increasing concerns over the health of both the US and global economies which will limit demand for exports from Canada's export-dependent economy. Even today the country’s quarterly manufacturing survey reports pessimism amongst Canada’s production companies, with the expectations index for production this quarter falling to -14 from a flat reading in the last quarter. So why against this background of worrying data and events is the loonie suddenly soaring and outperforming every other major currency in the world? Perhaps we need to ask the managers of some of the sovereign wealth funds for their straetgies, or perhaps it is merely an impulsive rally in response to record high gold prices and elevated oil prices, or perahps a celebration of the fact the US is entering recession and Canada is not, yet. Leaving the thin holiday trading move for the currency aside, the fundamentals for Canada have shifted very significantly since the loonie last broke below parity and it is difficult to see how the current burst in support is a) justified and b) sustainable. It is probably the last hurrah before the pair finally sets off more firmly in the opposite direction. Technically the pair could fall as low as the 0.9756 price we saw in late December, before rebounding. Data this week holds plenty of downside risk for the US dollar, so it is not be a good idea to go long USD/CAD until the major events of the week are out of the way. If you are sitting on positional long USD/CAD trades, you will be left biting your nails for the whole of this week, but sit tight. Strategy: Hold off until after Fed. Do not go long on USD/CAD until current correction fizzles out. EUR/CAD looks to offer good value below 1.47, as the loonie’s rally aainst the euro was accentuated by the loonie’s drive to parity against the dollar. Caution is needed however, for while we may soon see a rapid return to 150 for EUR/CAD, the pair may first go lower this week. Market Watch: Will the Fed deliver on Jan 30? Futures markets are pricing in an 80% chance of a 50 basis points cut Wednesday, to follow the 75 basis points cut from last Tuesday, meaning if the Fed cedes to futures market expectations tomorrow, the Fed Funds rate will have declined by a massive 225 basis points, or 2.25%, in just 4 months. If this is the outcome, Bernanke and co. will be cheered by stock market investors and the Fed certainly can’t be accused of watching from behind the curve, although many inflation watchers are certain to accuse the Fed of bowing to Wall Street pressure and abandoning longer-run economic sustainability, in favour of short-run economic growth. What are the arguments for against the various options open to the Fed? Why Cut the Fed Funds rate by 50 basis points? a) Markets expect it and were the Fed not to deliver Wednesday it may cause renewed volatility and a sharp downturn in stock prices and subsequently the value of investment portfolios of US households. b) A credit crunch remains and more is needed from the Fed to free up liquidity and get the banking system working normally. A 50 basis points cut will enable cheaper credit and encourage inter-bank lending to operate more freely. c) Aggressive policy action, having cut the base lending rate by 1.25% in a week, is certain to stimulate growth activity, which may steer the economy clear of a sharp slowdown or recession. d) The momentum generated by last week’s emergency cut and the Administration’s stimulus package will only be maintained if followed by this further ‘expected’ move, to help restore consumer confidence. e) Getting monetary easing out of the way quickly will lead to a significant bounce in the dollar through the remainder of the year, when markets focus elsewhere and price in monetary easing in other economies. A recovery in the dollar will help raise foreign investment and reduce import inflation costs. f) The housing sector in the US is in recession and the only way to stimulate any form of recovery is to cut the cost of borrowing, aggressively. g) The Fed does not meet again until March and that will be too long to wait before further policy easing is required. Why not cut the Fed funds rate by 50 basis points? a) The Fed has already given more than what was originally expected in January, when the 75 basis points emergency cut was announced last week. Interest rate cuts take a long time to play out in terms of impact on the wider economy and there is no urgency to act again so soon. b) Being too aggressive in such a short period of time will signal the Fed is panicking and it will undermine confidence rather than the contrary - in essence another aggressive rate cut will help fuel opinion that the economy is already in recession. c) Inflation is on the rise and there are severe warning signs emanating from the current rally in gold and oil prices. The US is currently experiencing stagflation and aggressive rate cuts from the Fed now are certain to put the US economy into an even deeper period of stagflation, while the economic benefits from those cuts won’t be seen for at least 6-12 months. No Central Bank wants to be accused of being soft on inflation, but that is exactly where the Fed is at. d) Economic data out of the US has not yet pointed to a recession and even allowing for major problems in the housing sector, the economy has coped reasonably well. Outside of quarter 4 (for which we have not yet seen the data), in 2007 the US economy grew stronger than that of all other major developed nations, including Japan and the euro area. e) The extent to which the ‘rogue trader’ impacted global stock markets early last week may never be known, but the story will never go away and if this event, even in part, led to the US Federal Reserve cutting interest rates by the most in 25 years on Jan 22, the Fed’s credibility is in tatters. If the Fed keeps rates on hold this week, the committee can at least argue what they did was to bring their decision forward a week, to prevent a major stock market crash. A further cut this week however will add weight to claims that a single stock market irregularity led to 75 basis points indefinitely being shaved off the Fed Funds rate. f) A decline in the Fed Funds rate to 3.0% will very much restrict the Fed from responding to any worsening crisis in the months to come, when further action may be needed from them. Using all its ammunition now will largely make the Fed redundant going forward, particularly if inflations risks do not disappear. g) Aggressive Fed easing in the past led to the current fiasco we see with the subprime issue and the credit crunch in financial markets. If the Fed has learned from the past, it won’t repeat the same mistakes again, or will it? h) The Fed stands accused in some quarters of giving too much preference to Wall Street over Main Street and it is the only Central Bank in the world that directly changed monetary policy to help out investors and stock markets that got into trouble recently. The Fed made a 360 degree turn in its message when it cut rates back in December and last September’s 50 basis points rate cut was a direct response to the then credit crisis which saw a downturn in stock prices. Last week’s 75 basis points cut was the most alarming, given Asian and European Central Banks did nothing, even though it was the stock markets in these jurisdictions which actually experienced the major sell-off. Further easing this week by the Fed will be seen as further evidence of a Central Bank responding to stock market demands. i) The dollar. While not high on the Fed’s list of concerns to date, further monetary easing will only further erode confidence in the dollar, resulting in more depreciation in the currency and leading to a further rise in the cost of imports, particularly fuel and energy, which will only add to domestic inflation risks. j) If the Fed wishes to be seen to be seen to be consistent in its commitment to policy easing and that last week’s move was not a once-off knee-jerk reaction, then a cut of 25 basis points should be more than enough on January 30, to keep its credibility intact. It will be a tough week for the greenback with the currency likely to come under selling pressure early on as markets price in a further 50 basis points rate cut from the Fed on Wednesday next. There are other key data releases with quarter 4 GDP the same day as the Fed and on Friday there is January’s employment report and the ISM Manufacturing Index. 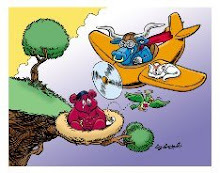 Anything short of a 50 basis points cut from the Fed Wednesday will disappoint stock markets and probably lead to a bounce in the dollar, although probably a very temporary one. The Fed did not communicate much to markets last week when they cut by 75 basis points in their surprise emergency move and markets will be studying this week’s accompanying statement closely to extrapolate the Fed’s current thinking on the economy and also for clues as to likely future policy moves. If quarter 4 GDP earlier Wednesday prints higher than 2%, it will signal markets may have been too pessimistic in their outlook for the US economy and it could cast some doubts over how much the Fed will subsequently cut later the same day. Thursday’s inflation data (Core Personal Consumption index) will be of secondary importance this week unless the Fed had issued a fresh inflation warning in its policy statement. Friday’s payroll data will however be critical in shaping immediate confidence post-Fed and a negative jobs number will increase consensus that the US is already in recession and it may trigger a sharp rise in risk aversion which will temporarily benefit the dollar. A strong employment number will tend to undermine The ISM manufacturing index is also seen as a key recessionary indicator, particularly since the index contracted to a 47.5 reading last month. A further decline in the index this week will also raise fears over a recession and if it follows a negative non-farm payroll number, Friday could prove to be a very testing day for global financial markets, although the dollar might likely get a short-term lift. The euro rose sharply Monday, taking the pair back near the 1.48 line and the euro is currently lingering just below this key level. On the data front, M3 money supply in the euro area narrowed slightly in December while US new home sales slumped by a further 4.6% in December, recording the lowest annual rate for 12 years. Markets are anxiously waiting key events due out later in the week and the New Home Sales figure only caused a temporary blip before dollar selling pressure resumed. The euro may have its best chance of reaching the coveted 1.50 price level this week and much will depend on how global stock markets respond to the Fed’s rate announcement and the other key US data due for release this week. A positive response from stock markets is more likely to damage the dollar, such are the contradictions that currently dictate market direction. The dollar is going to struggle to make an impression before the Fed, and we could see the euro attempt to rise towards the 1.49 line before then. There is little value at current prices because if markets fears were to suddenly flare up, the euro could quickly decline by as much as 3 cents. The best option may be to buy only on dips back towards 1.4650 using a tight stop, or to wait for a sell opportunity when this week’s major risk events are done. Strategy: buy euro on dips to 1.4650 with upside price targets of 1.4750, 1.4790, 1.4820 and 1.4870. Place a tight S/L just below 1.4640. Sterling has held its own again the dollar Monday but has badly struggled against the euro, giving up all of the hard-won gains from Friday. The pound was put under some pressure during the Asian session when a report in the Guardian quoted Bank of England voting member Blanchflower as saying that waiting to cut UK interest waits was akin to playing the fiddle while Rome was left to burn. Although Mr Blanchflower’s views are well known and he was the only member of the MPC to have voted for a cut at the January meeting, his illustration was strong enough to remind traders that the Bank of England’s next monetary policy meeting is only a week away, when a rate cut is much more likely. The euro has risen to 0.7450 against the pound and there may be a chance of a temporary return to 0.75, if the euro is elsewhere able to sustain its rise against the dollar. I remain bearish on sterling but still see some chance of cable moving to 2.01 in the short-term because of the risk calendar in the US over the next few days so prefer to wait before entering the market. It is dangerous to buy into the dollar before the Fed meeting. Strategy: Wait for cable to peak this week, possibly around 2.01, and then sell down with limit prices of 1.99, 1.9850, 1.9770 and 1.9650. The yen failed to make much progress Monday despite a sharp sell-off in Asian stocks overnight, something which carried through into the European session, before a modest turnaround was seen early in the US trading session. Complacency has returned in mega-fashion with all the high yielding currencies and commodity currencies being bet on Monday, ahead of the Fed’s rate announcement Wednesday. The assumption is commodity prices and the carry trade will benefit from the Fed’s expected 50 basis points cut and many fund managers can’t wait until the actual event, so are piling on their positions now. Of course it is ridiculous in the sense that more and more evidence is emerging of a broader global slowdown, something which is likely to lead to a prolonged retreat in commodity prices, but as of now markets are looking no more than a few days ahead. The yen is unlikely to be a benefactor ahead of Wednesday and indeed not immediately after the Fed’s Statement is released, if the rate announcement is responded to positively by Wall Street. The Japanese currency may however bite back at the end of the week once reality begins to take foot once again and risk aversion levels rise once more. There is a significant set of data indicators out in Japan tonight, including house-holding spending, unemployment and retail sales numbers for December. With concerns over a possible Japanese recession growing more vocal, these data releases offer a timely test. The data is however unlikely to influence the currency markets, which will continue to be dominated by pre-Fed sentiment. The dollar is likely to remain in a 106.50 to 107.50 price range against the yen, while the euro has a chance to exceed the key Y160 price level during the course of this week, before the downtrend resumes. Strategy: Buy EUR/JPY on dips towards Y155 with price limits of Y156.50, Y157 and Y158. The loonie declined for a short while this morning, the greenback rising to 1.0119 before the pair retreated somewhat sharply during the course of the day, with the loonie now testing levels once more around the 1.0030 price level. The Canadian currency has been the strongest supported currency since the middle of last week, despite a further Bank of Canada rate cut and further soft data in the shape of Friday’s consumer price index for December. The pair looks to be on another collision course around the parity line and with US dollar sentiment very low in anticipation of a further rate cut from the Fed Wednesday, I will be surprised if the pair does not break below the parity line by tomorrow. I remain medium to long-term bearish on the loonie, although the currency is now exploiting the greenback’s Fed vulnerability to stage a sizeable correction, which could see the pair go as low as 0.9850 or 0.9750, before the uptrend resumes. It is a twitchy time for those holding long positions on the pair, but if you are not over-exposed, I wouldn’t despair as the medium-term outlook for the loonie is not good (increased evidence of a global slowdown which will put commodity currencies under pressure, further bank of Canada rate cuts and further soft Canadian data), something which is being largely ignored by the big funds that have catapulted the loonie back into contention. The high yielding currencies and commodity currencies could all seriously come off the rails by the end of the week, once markets have to deal with the reality of a downturn once more and have to suspend calls for the Fed to again cut interest rates, for a few weeks at least. The euro has offered some good temporary value against the loonie on levels around 1.4750, with prices again rising towards 1.49, although traders need to be aware that a break below the parity line on USD/CAD would trigger a lift for the loonie on all the crosses. Strategy: Wait until after Fed on Wednesday for USD/CAD. Buy EUR/CAD on dips to 1.4750 with limit prices of 1.4850, 1.49 and 1.4960, but exit if loonie breaches parity against the greenback.